Zanjoe Marudo has just admitted on 'Tonight with Boy Abunda' his breakup with Bea Alonzo. He guested on the show to promote his upcoming soap 'Tubig at Langis'. 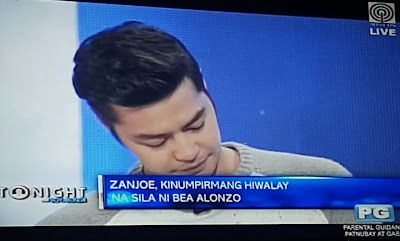 It makes me really sad, coz Bea and Zanjoe are among my fave showbiz couples, and I really thought they will end up together, building a family of their own. Zanjoe has confirmed the breakup rumors which have been existing since Bea was promoting 'A Second Chance'. 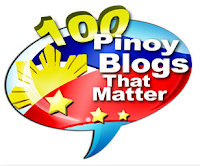 Did John Lloyd Cruz cause the split? That's another rumor which needs also a confirmation. Zanjoe did not elaborate further on his break-up with Bea, but he shared that the last time he cried was just last night - meaning the heartache is still fresh or he's still aching over the breakup. 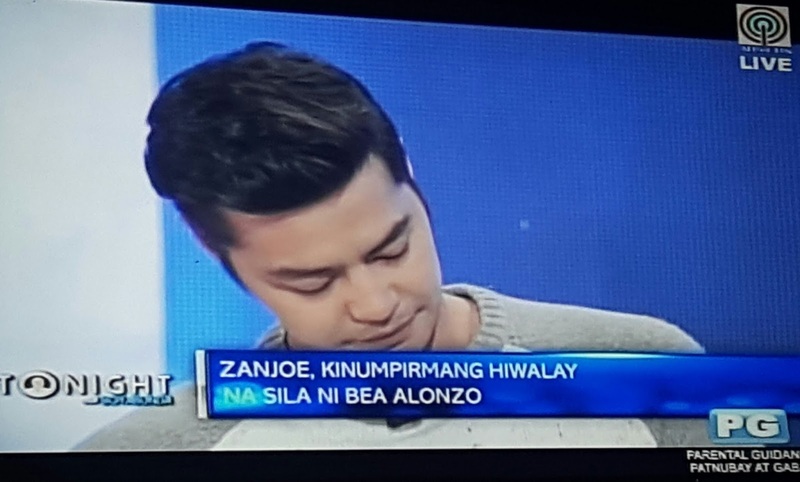 Bea and Zanjoe were in a relationship for almost 5 years.